Yardley Arts is based in the Old School Hall in Yardley Hastings in Northamptonshire. 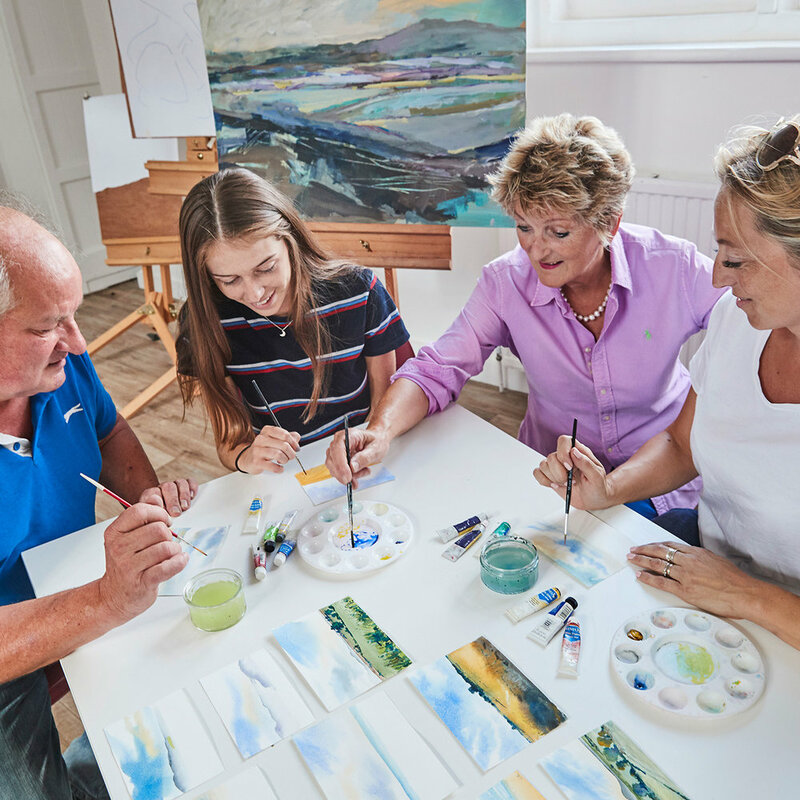 It's run by a group of volunteer arts enthusiasts who want as many people as possible, particularly in rural locations, to enjoy art in its many forms. In just its first year, we have run popular drawing, painting, photography, jewellery making and sculpture classes; held talks by celebrated artists and experts; and organised exciting street events. We welcome everyone, whatever your age or experience, and work closely with professional artists, schools and colleges and community groups. You can also hire our great venue. Find out more on our website, and just get in touch! If you check out our courses and events, you will see we run courses and events for people at all levels and all ages too, with our children’s events popular with the whole family. Over the next year, we will be curating a diverse arts programme that meets our community’s interests and we always welcome new suggestions. We cover composition, drawing techniques, watercolours, acrylics, pastels and oil painting, and invite local artists to give talks and demonstrations. Our courses help you learn or improve your technique, and create amazing results you can wear and admire at home. A real sense of achievement. Our carefully chosen tutors ensure that our courses for children are great fun for all ages. We to hope create for them a lifelong interest in art! We aim to offer a wide range of inspiring arts activities, in a great venue, accessible to everybody in the community. Yardley Arts needs your help to achieve this! Please help us continue to grow and flourish. You can do this in a number of ways that will really make a difference. We run as a voluntary charitable organisation. We depend on people assisting in workshops, helping us set up sessions, working on the door, cleaning up, etc. If you have an hour or two to spare and would like to be involved volunteering with us then we would love to hear from you. Please help us. We are doing all this voluntarily but it all costs money to run the centre and purchase materials, to say nothing of the promotional costs of letting the world know about us. If you would like to make a donation to Yardley Arts you can do it here through our Just Giving page. Maybe you run a business or are associated with a bigger business and think that sponsoring an event would be of interest to you. We put on many course and events, as well as exhibitions that attract a lot of people. Sponsorship packages can start from as little as just £250.